Interesting fact: In 2003, the first business leader hosted by the AGSM in the inaugural Meet the CEO event was Richard Branson. 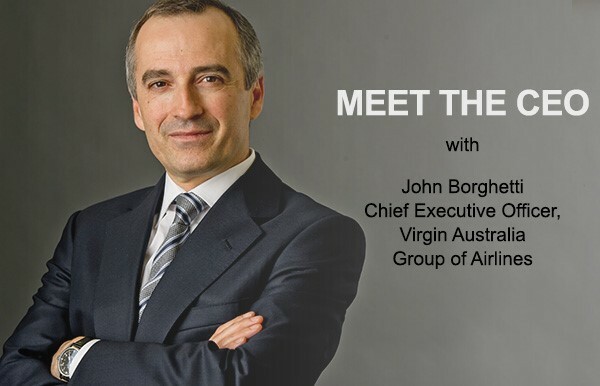 It was somewhat poetic, therefore, that almost exactly a decade later the last Meet the CEO event of 2013 held on Monday featured John Borghetti, CEO of Virgin Airlines. The stage was set from the beginning. There were a number of immaculately groomed Virgin Airlines stewardesses in their distinctive red livery in addition to the AGSM staff welcoming guests to the evening. They even opened the doors to the hall where the interview took place, and ushered us in with effortless smiles and practiced efficiency. I almost wished we had reserved seats so we could have been directed to them. 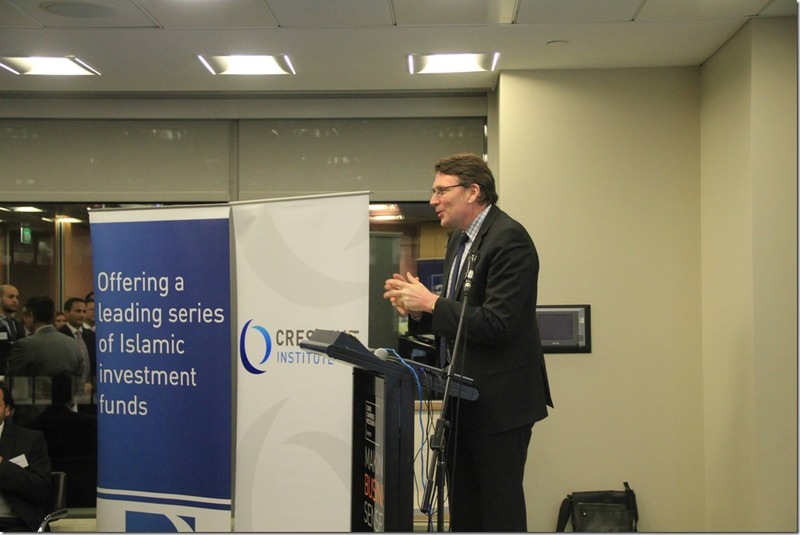 Dean of the Australian School of Business Professor Geoffrey Garrett was engaging and humourous as always in his introductions. UNSW Chancellor David Gonski in his welcome was even funnier and had the packed hall laughing out loud. The twist – instead of Dr Garrett chatting to the guest as usual, there was also a guest interviewer. Mark Scott, Managing Director of the Australian Broadcasting Corporation stepped onto the stage and masterfully conducted the interview. John discussed the history and challenges faced by the aviation industry in general and specifically in Australia. He also touched on the opportunities and challenges faced by Virgin as part of competing against Qantas and the brand repositioning strategy he implemented after joining Virgin in 2010. You can watch the video recording of the interview to catch the whole thing, but here are my observations and insights about John’s leadership style from listening to him tell his stories. A lot of John’s personality showed through his answers. I’m sure he’s had loads of media training as most people at his level do, but his answers were somewhat less reserved and guarded than the other CEOs I’ve seen interviewed. For example, he quite happily pointed out that the decline in the Australian resources boom was great, because it meant that mining organisations were now looking for cost efficiencies and open to renegotiating corporate contracts. He then realised that it may have sounded like he was happy about the resource decline in general, and sheepishly clarified that he meant it was great for Virgin Airlines, not necessarily for Australia as a country. Share your success. There’s plenty to go around. He talked about and shifted credit away from himself and senior management to front-line staff. Basic leadership recipe, but well executed by publicly acknowledging the importance and achievement of everyone in the organisation. If you’re in a service industry – like airlines – focus on getting the right people on board (no pun intended). John pointed out that when you’re flying, you’re basically in a “tube”. The tube is essentially the same regardless of the airline you choose, so the key differentiator is the people who deliver the customer experience. When asked to elaborate, he said it came down to recruiting well. You have to create and maintain a service culture, and find and attract people with the right customer service attitude and focus. This meant going outside the airline industry to find individuals who were “service people” – whose attitude is based on wanting to please people. It’s also important to then let those people be themselves, and not beat that attitude out of them. Advice from Richard Branson when faced with rebranding Virgin Airlines Australia differently from the rest of the global Virgin brand. Enough said. Listen to your front-line staff. John said that it was impossible for a CEO to “go undercover” and pretend to be a customer. Everyone recognises you and treats you differently – like the CEO. Even if they didn’t, at best you might pick up on some of the challenges faced by front-line staff on the day, and those might not be the most difficult ones they normally face. Rather, spend time talking to them at every opportunity you get, take that feedback on board, and act on it. Process your email backlog at 3am on Sundays. Ummm … I might pass on this one for now. John started working in his father’s coffee shop aged 10, and was challenged by him to up-sell to potential customers. It was here that he learnt salesmanship and reading people. He pointed out that this is important because it enables you to understand where they are coming from (empathise with them), which in turn gives you the ability to decide what to do (how to fulfil their needs). Have a good process to solve problems. 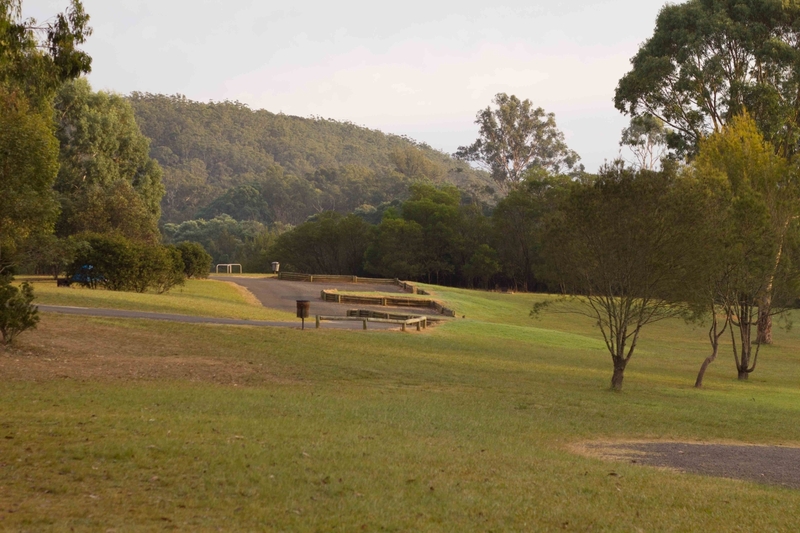 You can’t anticipate all the problems that could potentially arise in an endeavour. However, you know that they will come up, so have a good process to deal with them as they do. Each problem might be different, but having an approach to solving them will go a long way to successfully resolve them. Work hard and focus on doing a great job. Work hard. Focus on your current job and do it well. You will see other people around you get ahead without working hard. Don’t worry about them. They’ll come crashing down eventually. Really good advice, and something I’ve personally observed. Thanks AGSM. Really enjoyed the conversation, and am looking forward to meeting more CEOs next year. Reason: (noun) A cause, explanation, or justification for an action or event. 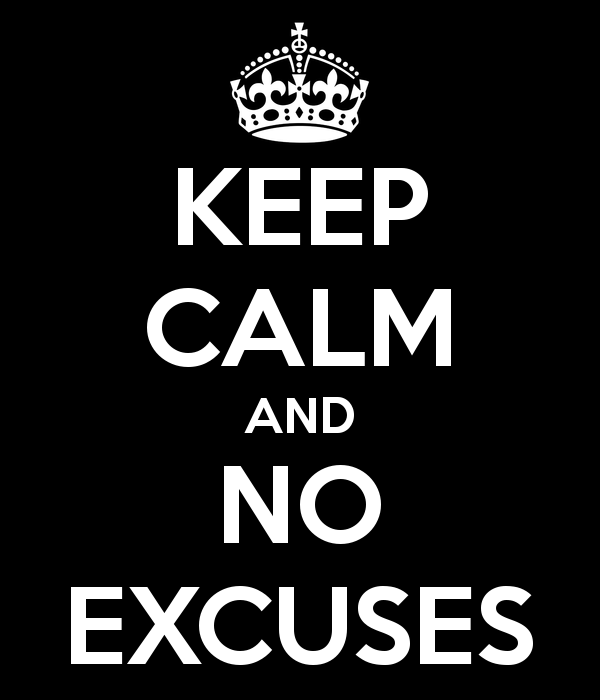 Excuse: (noun) A reason or explanation put forward to defend or justify a fault or offence. If someone comes to me and just says that something can’t be done because it’s too hard, too complicated, will take too long, will cost too much or the technology just doesn’t support it yet, it feels like an excuse. However, if they make the same argument and recognise why it was important to do the task in the first place, and what alternatives could be used to achieve the same outcome, I consider that a reason. However, it’s all contextual as well – what the issue is, what the ramifications of not resolving it are, what my working relationship with the person relaying the issue is like, and whether or not they are actually capable of resolving the issue on their own. Having said that, the more important thing is not the theoretical comprehension of the distinction between the two, but how self-aware you are in applying it to yourself. Then I realised that I had just given him an excuse, and even though he’s only five, as his dad I need to practice what I preach and teach by example. So I went and found him watching the wind buffeting the trees outside, sat down on the floor next to him, and explained to him that if we went to fly the kite that day, Daddy would get even more tired and he wouldn’t be able to do all the other things that he needed to do. However, we could print out some arts & crafts templates and do a small project together. The result: a similar outcome to what he was after – spending time with me doing something he enjoys, while I was able to turn an excuse into a reason. Added bonus: Without going all philosophical, learning how to manage relationships starts at home – the most important organisation in my life. I always instinctively knew this, but first came across an eloquent articulation of this idea in Clay Christensen’s July 2010 HBR article called “How Will You Measure Your Life?” While Christensen, a Harvard Business School professor, is better known for writing the book on disruptive innovation (The Innovator’s Dilemma), his article and the book that followed (also called “How Will You Measure Your Life?”) provides great advice on how to achieve a meaningful career without compromising on your values. Definitely recommended reading. 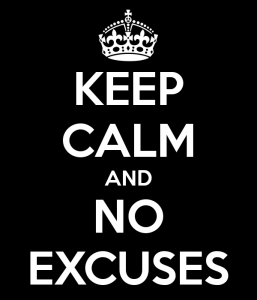 Since the weekend, I’ve been watching my own behaviour pretty closely, and thankfully haven’t had any other instances of excuse-making. So … what’s your reason? Ok, so while I’m documenting insights from successful leaders, I thought I would write a quick post about things I picked up while listening to Andrew Stevens, Managing Director of IBM Australia and New Zealand last week. As an AGSM alumnus, I get invited to the Meet the CEO series hosted by the University of NSW Australian School of Business. I’ve attended a couple of events before, where Cameron Clyne (CEO of National Australia Bank) and Alan Joyce (CEO of Qantas Airways Ltd) shared their views, and both times I came away with a sense of clarity about approaches to leadership and career management. I don’t particularly want to dwell on everything Andrew said, since that can be watched on the recorded video, but rather the technology and leadership insights that I found interesting. First realisation: I really need to go away and read the Australia in the Asian Century White Paper. Both Andrew and David Thodey mentioned this paper in the same week, and that tells me I better read it and take a position on its content. 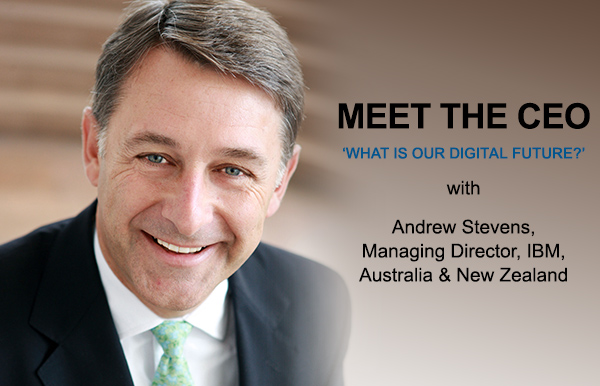 While there’s no easy and agreed-upon definition of what innovation in technology means, Andrew defined it as “the application of IT to create new services and business models”. An increase in consumerisation is good for the consumer, because it puts pressure on businesses to deliver better. 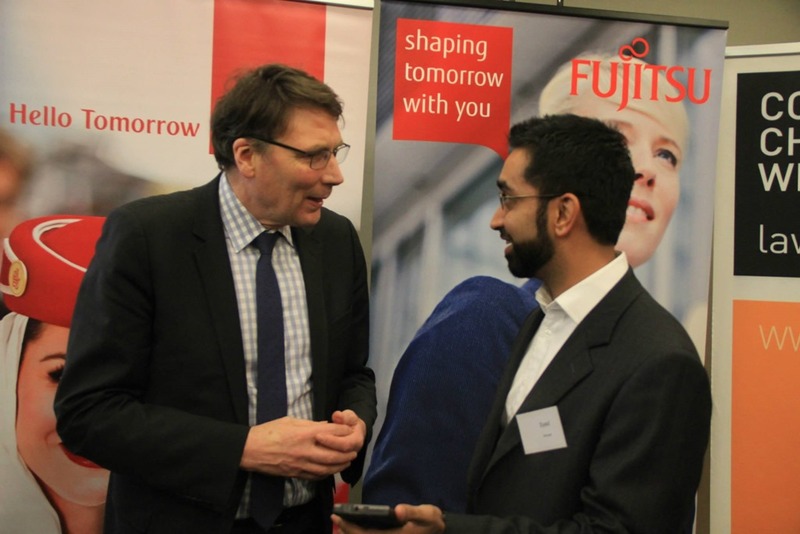 Big Data helps this by enabling greater segmentation – down to a market of one. This helps the consumer because they can be offered a targeted product or service that they desire at a price point that is within their statistically acceptable threshold. Broadband: the economic utility of this era. Great leaders (for Andrew) apply principles from sport – regardless of how well the game plan has been understood and rehearsed, knowing when the game has changed and adapting to the situation. Lots to absorb and think about from an hour’s interview. Also, I’m reminded again about the other thing Andrew had in common with David – and in fact with the other two CEOs previously interviewed in the series that I’ve attended: the total and effortless ease with which they communicate. Definitely something I need to keep working on.